Philippe Dufour: "I would say that you could buy at this price, maybe a bit less, a very good watch in terms of value and quality. It’s not Swiss — sorry — [but] a German brand called NOMOS. I found that this brand makes a very serious product. I like these watches, and for somebody who wants to start, I think this will be a good [choice]: not too expensive and good value for money." Kari Voutilainen: "It’s a tricky question. In this case, perhaps I would buy a Parmigiani to support my village. That is perhaps the best solution, because it will bring wealth to the area where I’m living. Laurent Ferrier: "If I could only buy one, I would go for a Rolex Daytona. If you really want to start a collection, it’s probably going to have to be with something simple, so the best way is to go to an auction and try to find original 50-year-old pieces that are still in good condition. That’s a very easy way to start." Roger Smith: "I don’t know if this would surprise people, but personally, it would have to be a Rolex. They are exceptional watches and what impresses me about Rolex is that they’re not very adventurous, which is good, because they know they have a great movement. The movements that they use are tried and tested. They’ve been around forever — why change the wheel? They have a watch that you can use for dress, sports, and it’s a great all-rounder. Put one on your wrist and you’ll probably die with that watch on your wrist. 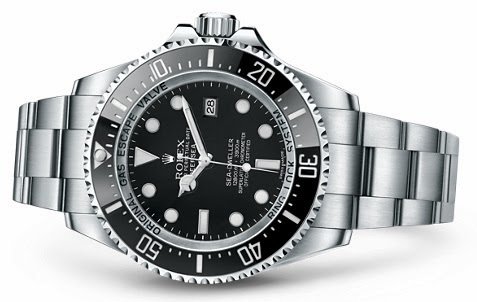 It’s not everyone’s cup of tea, but I look at the mechanics of a watch, the case and how all the components are constructed; to me, [the Rolex is] bulletproof, and I don’t think you can get much better than that. They don’t sponsor me, by the way."